Note to readers: WFAA8 investigator Brett Shipp is in the news again -- this time with a high-profile story that questions the eligibility of a hot-shot starting quarterback on Southlake Carroll's powerhouse football team. Once upon a time, though, he was on the reporting staff of rival KDFW-TV (Channel 4) while his father, Bert Shipp, was in his 34th year at WFAA8. "He's really one of us," Bert said at the time. And in 1995, the year after this article was written, Brett indeed made it to WFAA8, where he's won multiple major awards over the past 15 years. 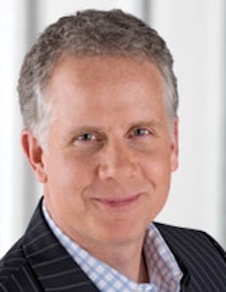 Recent events tell us that Channel 8 missed the boat on Brett Shipp, enterprising son of the station's longtime assignments editor, Bert Shipp. The son's latest hidden camera investigative series for Channel 4 resulted in the Dallas school board's hastily tightening its rules on travel expenses. The father's pride in his son's increasingly high-profile work is tempered by the fact that he works for the competition because Channel 8 management wouldn't hire him. "That was disheartening," Brett openly acknowledges. "They may have always looked at me as Bert Shipp's son, or just a kid. Maybe there's a stigma of some sort." Bert, in his 34th year at Channel 8, says he's now being asked, "Are you Brett Shipp's daddy?" "People at the station keep saying, 'We gotta get him over here.' Sooner or later it'll happen . . . He's jerkin' the rug a little bit over there with his reporting. It's like a hummingbird pecking on Gibraltar. But we know there's a hummingbird out there." Brett, 35, married and the father of an 8-month-old son, got his first taste of the television news business as a wide-eyed grade-schooler. In separate interviews, father and son recall those yesteryears as if they were yesterday. "I didn't know about television. But I knew how to chase those ambulances," says Bert, a former newspaper reporter and editor who began his TV career at Channel 5 in 1959. "I'd take those ol' boys (Brett and older brother, Bruce) and throw 'em in the back seat, and we'd be off. I never dreamed that something would rub off on him." Back to you, Brett: "Growing up in Dallas, it was a candy store for me and my brother to be the sons of a newsman. I can remember nights he would come in the room and say, 'We've got this great fire out in West Dallas. You guys wanna come?' 'Yeah!' we'd say. If there was a good wreck or a good fire going on, we were out the door with him. And it was great." Brett didn't immediately warm to journalism, however. He wanted to major in business at Stephen F. Austin University in Nacogdoches. But the math bowled him over and he tried his hand at sportscasting before switching to news reporting at a local radio station. "For a long time we didn't tell Brett's mother he was studying to be a journalist," Bert says. "She thought he was going to be a plumber. Now she loves seeing him on TV." Brett graduated with a degree in communications before getting his first television news job at a Lufkin station. His next stop was Amarillo, where he reported, anchored and became an assistant news director. Still working his way back to Dallas, he became a state capital correspondent for a Tulsa TV station. His biggest story documented illegal campaign contributions received by Gov. David Walters, who subsequently pleaded guilty. "That really stoked my taste for investigative reporting," Brett says. He had remained in contact with Channel 8, but a firm job offer never materialized. 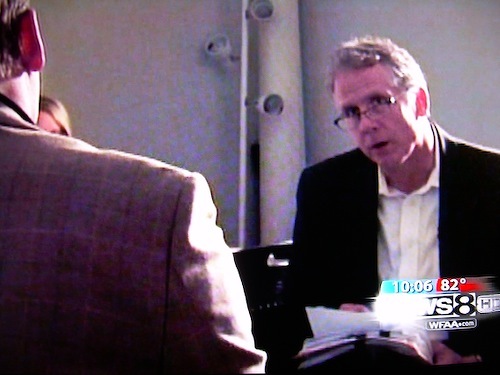 Former Channel 8 reporter/producer John Sparks was interested, though. During a brief stay at Channel 4, Sparks persuaded management that Brett was ready for action in the country's eighth-largest television market. "He's blossomed into something very big, and we're very happy," Channel 4 news director Mike Sechrist says. "The other nice thing is that in the back of his mind all the time he's thinking, 'Beat Channel 8.' It gives him a little extra impetus and momentum." Bert says it works both ways. Channel 8, long dominant in the Nielsen ratings, is energized by a stronger challenge from a rival station. "We have a competitor over there now that we don't mind whipping," he says. "You hate to whip a wimp. You like to sting someone that's viable. When we whomp ol' Channel 4 pretty good, we know they've got some people over there that are giving us hell, too." Father and son lived under the same roof for a while while Brett was getting re-situated in Dallas. "We did have a little bit of a tough time speaking through interpreters," Bert says, laughing. "He'd get called out on an assignment, and I'd check his speedometer the next day to see how far he went. It wasn't long before he started throwing his stuff around over there. He's going to be a lot better reporter than I ever was." 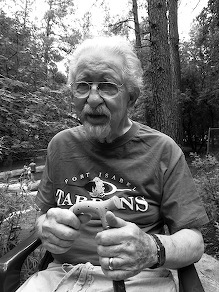 Brett Shipp and father, Bert, now 80, in picture taken by Brett. Brett's launch pad was a continuing series of reports under the umbrella title of "Your Tax Dollars at Rent." The first, in 1992, used a hidden camera to show Dallas Independent School District maintenance workers lolling on the job. He won a regional Emmy for the reports. "I look back on it and think, 'Ya know, that wasn't really that big a deal,' " Brett says. "We could go to almost government entity and catch workers screwing around on the job. But it just hadn't been done here, at least in a while." Last November, Brett tracked a North Dallas justice of the peace with a penchant for working half-days or not at all. He hit the motherlode earlier this month with a three-part report on junketeering school board officials. Ostensibly attending an education conference in San Francisco, school board president Rene Castilla and schools Superintendent Chad Woolery instead spent most of their time shopping, sightseeing and dining at expensive restaurants. At a climactic public hearing last Tuesday night, taxpayers lauded Channel 4's reports and offered board members bologna sandwiches. The board responded by adopting new rules restricting travel expenses. "It took us going out there, catching them red-handed and sneaking around with a camera," Brett says. "That's the only way they were going to change. And people thanked us for that." While Brett was sleuthing and snooping in San Francisco, his parents were baby-sitting at his house in Dallas. Dad was never the wiser. "One of the things that's made it so easy for me in this town is that I'm Bert Shipp's son," Brett says. ""Because he has greased the skids. People who trust him trust me. Channel 8 may not be too happy to hear that." As part of Channel 4's new three-member Eye Team, Brett inevitably must come face to face with those he's accusing. As the camera turns, so does his stomach. "It is ultimately rewarding," he says. "But when it comes down to the actual confrontation, it's frightening. Your heart races. You're not sure how you're going to approach somebody. You don't know how they're going to react." People have joked that he should wear a bullet-proof vest, he says. "Ultimately I want to do well for the station. I want people to turn to Channel 4 and say, 'They're doing something good over there.' I want people to get fired up on a regular basis." The downside of television news, he says, is any reliance on gimmickry and flashy promos to sell a story. He doesn't like it. "It's personally distasteful to me, but it's part of what the business has become," Brett says. "The public is so ready to say, 'You slimy journalists.' And I try to downplay our importance and our personal involvement. Promotions and flash and trash work against me in that respect." Sechrist, Channel 4's news director, says he regularly "knocks heads" with Brett, usually over whether his stories are fully nailed down. "Those are good clashes. They're the kinds of clashes you want to have," Sechrist says. Brett says he has no interest in joining the other side, as a news director, producer or -- his dad's profession -- assignments editor. Anchoring doesn't interest him either. "What the anchors do is come in and read the news and go home," he says. "They do extra work, but they're not out on the streets. Being a reporter, you meet new and interesting people every day. I love it. It's a candy store for me, beyond all the office politics and the screwy bosses and the whiners. You get that wherever you go." His father, 64, fully expects him to go to Channel 8 someday. "He'd come over here tomorrow, and now they'd hire him tomorrow," Bert asserts. "He's really one of us. But he's got a contract over there."